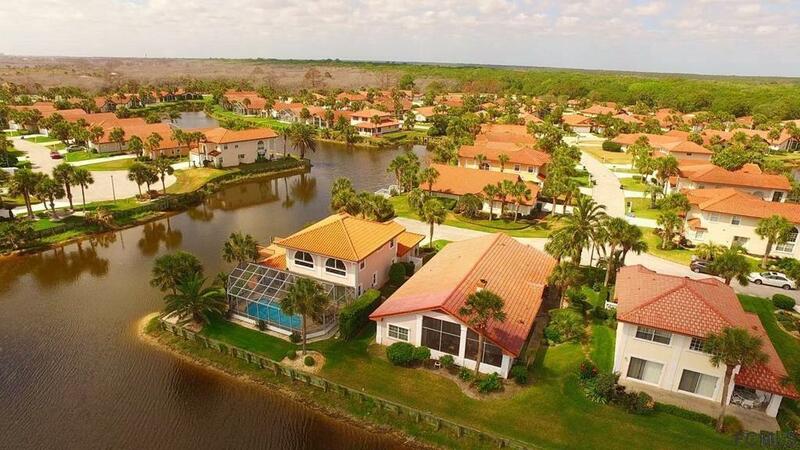 Nestled between the Atlantic and Intracoastal is the gated community of Lakeside at Matanzas Shores. 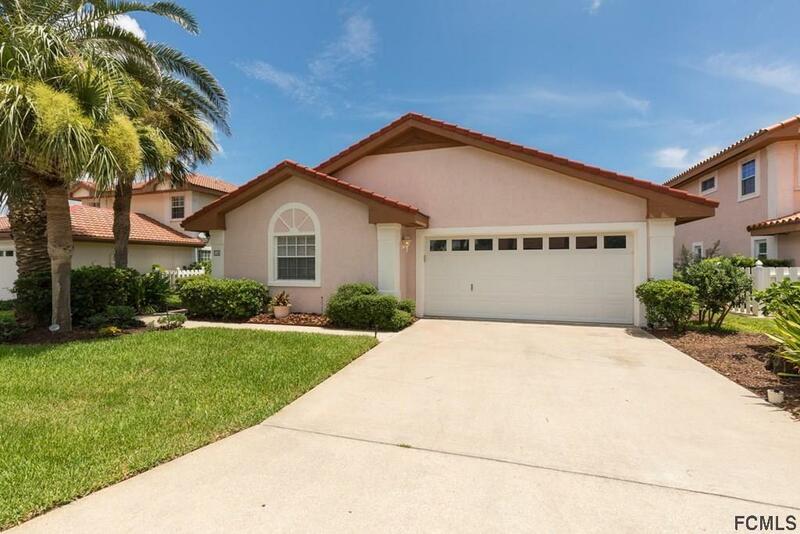 This Mediterranean style home offers 2 bedrooms, 2 baths with den as well as bonus/flex space off of master bedroom. Home has tile throughout main living and kitchen areas, central vac system, hurricane shutters and wood burning fireplace. AC replaced 2015 along with the replacement of exterior soffit and fascia boards. New dishwasher and microwave 2017. Home was painted and lanai screens replaced 2018. Beautiful lake views can be enjoyed on your screened porch or you can take advantage of the many amenities offered to residents. 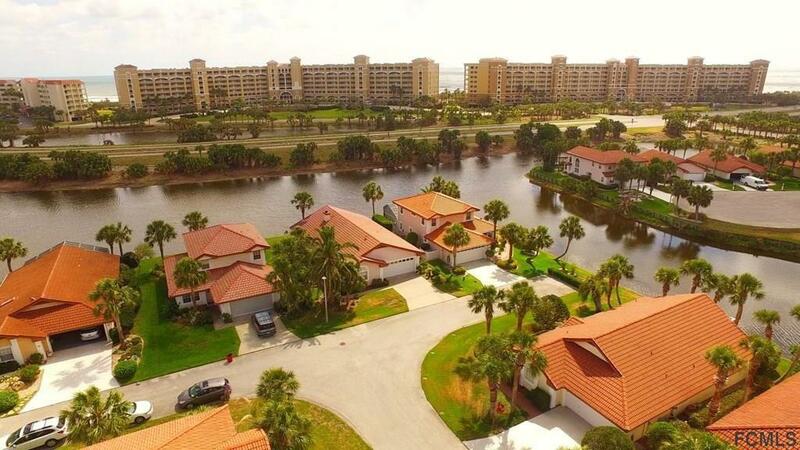 Amenties include, deeded access to ICW, 2 private beach walkovers, 2 pools, 3 clubhouses, fishing pier w/ covered gathering area, walking/jogging paths, tennis & pickleball, volleyball and shuffleboard. VERY LOW HOA FEES!!! See special remarks for breakdown of fees.